Disneyland Haunted Mansion Dooney Restock And More Info! Both The Disney Castle Danielle Nicole Purses Are Now Available Online! Okay, I admit I may be going into withdrawals from my Disney cruise, which I was on one week ago today, but I think the question of what to wear is a popular one. People I know are constantly asking me what type of clothing they should pack for their cruise. I decided that question is way to broad. I mean, there are themed nights, semi formal nights, formal nights, adult only restaurants and each of these are an entirely different category of what to wear on which occasion. I’ve decided I am going to break this down into a series of articles about cruise line attire. We’re going to start with the most important category, cruise casual. If you have no intentions of partaking in any of the themed nights or going to the adult only restaurants, this is really the only type of clothing you need to know about. After being on my fourth Disney Cruise, and third ship in the Disney Cruise Line fleet, I feel like I am qualified to answer this question, So let’s begin. I would like to start off by saying that the explanation is very general. I don’t personally believe that the categorization of cruise casual should be as simplistic as it is. 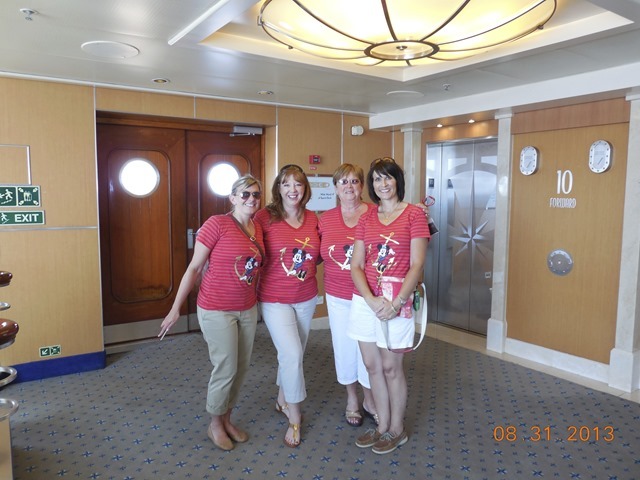 Disney Cruise Lines states that cruise casual, to be worn in the dining rooms, is anything with the exception of tank tops or swim wear. Now, I am that person who believes that what you wear to different places or on different occasions shows respect for what you are doing and who you are with. An example would be that when you are going to the theater to see a stage production, you respect the actors and artists who have put in their time by wearing something nice. A casual dress or dress pants will suffice. I, myself, always wear a nice dress and heels but I don’t think everyone needs to go that route. I do think that attending this type of event in crocs, ripped jeans and a white tank top (which I have seen on Broadway) is disrespectful. This is my own personal opinion. On the cruise, there are also Broadway type productions. I don’t expect everyone to pack a dress for each night and heels for each outfit (although, I’ve done this for 3 of the cruises) but going back to your room to change out of your swimwear does show a little more respect to the cast. I feel the same way about the dining room. I know people are running around enjoying all the amenities the cruise ship has to offer. I also know that Disney’s only rule is no tank tops or swim suits. It is appreciated, however, by the people who are seated around you, if your shorts are not too revealing or your jeans aren’t so ripped they look like they are going to fall off. Again, this is my personal opinion. I can’t control what others around me are wearing but I can make sure the party that I am with looks nice and tasteful. The cast and crew look nice and work hard and I feel we can honor them by at least looking nice as well. So, in summary, you can pack whatever you like to wear on the Disney Cruise now that they they have lifted the ban of wearing shorts in the dining rooms. Here are some items that I’ve seen the most of on the cruises to give you an idea of what the majority of people are wearing: jeans, khakis, capris, shorts, tee shirts, dress shirts, sun dresses, pantsuits, rompers and maxi dresses. Please don’t misunderstand me, the majority of people on the cruise line are dressed nicely and respectfully and no not make others uncomfortable. Unfortunately, it just takes one person to leave the opposite impression. The range of attire is endless and covers the full spectrum. It is up to you how you chose to represent yourself on the cruise. What about you all? What are your favorite cruise casual items to pack?? 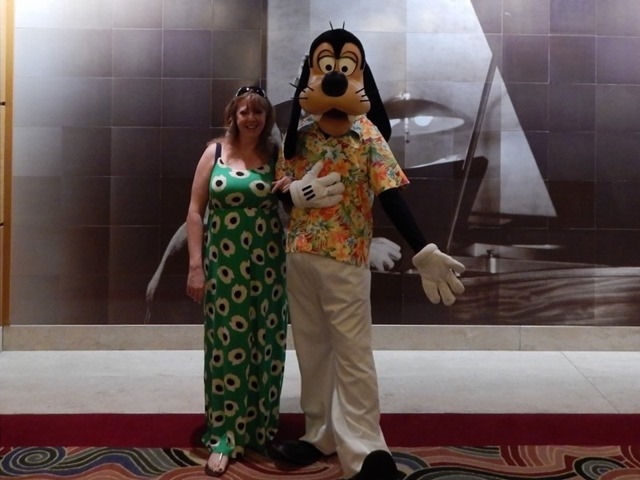 Michelle is an avid Disney lover and fashionista who loves to combine her two hobbies. She loves to shop and find the newest and best Disney finds to share with her fellow fashionistas! Be sure to follow her on her Facebook page and on twitter! Disney Princess Hairstyles: An Exciting New Book! Disney Bounding With the Disney Fashionista- Queen of Hearts!